Whitehead Institute investigators have identified a gene overexpressed in a subset of early-stage breast cancers called SMARCE1, that they say show which cancers are likely to become aggressively invasive, a finding that for the first time makes it possible to distinguish poorly invasive tumors for those that will likely spread and metastasized. The findings open the door to more targeted treatments based on the predicted aggressiveness of each patient's cancer. 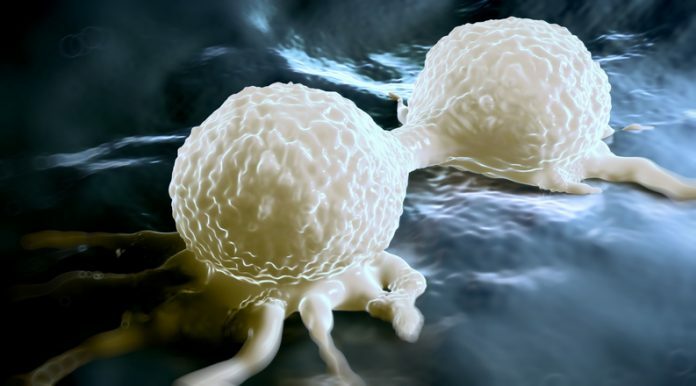 The researchers found that 50% of the early-stage cancers with high SMARCE1 expression will metastasize at some point in the 10–15 years after their initial diagnosis. “Early-stage cancers are not all the same. Some are destined to go rogue and should be treated from the outset with this understanding in mind,” says Whitehead member Piyush Gupta, Ph.D., who is also an assistant professor of biology at MIT. Breast cancer begins as anomalous cells that divide out of control, usually in the milk ducts. In almost all metastatic cases, a patient does not succumb to the initial cancer but to the secondary tumors after the cancer has spread. Over the past two decades, mammography’s ability to detect ever more miniscule lesions has significantly increased. As a result, many patients with harmless lesions undergo surgery and radiation therapy. Conversely, current therapies fall short for a quarter of patients with early-stage tumors, which ultimately spread to distant sites in the body. By sorting the aggressive from the benign, doctors could tailor therapies more accurately to each patient and avoid the dual pitfalls of costly overtreatment and potentially fatal undertreatment. To determine why some lesions are more aggressive than others, scientists in the Gupta lab analyzed the regulators of about 350 genes with increased expression in the invasive regions of cancers. The team, which included then-graduate student Ethan Sokol, postdoctoral researcher Yuxiong Feng, Ph.D., and graduate student Dexter Jin, identified a large group of these genes that allows cancer cells to invade the structural support surrounding the cells, called the extracellular matrix. One gene regulates the group: SMARCE1. In fact, when the team analyzed activity in a model of human breast tissues created by the Gupta lab, they determined that SMARCE1 is required for localized breast cancer cells to escape into the surrounding tissues. Without it, the cells stay confined and relatively harmless.